Did I Choose the Wrong Partner? This question comes up frequently when we work with couples who are struggling in their relationship and is a question we have both asked ourselves in the past. We really thought that we might have irreconcilable differences. What we didn’t know is that we were seeing each other through the lens of our low moods. Our discontent was a reflection of our thoughts, not each other or our relationship. We were experiencing our own consciousness and not the other person. Now if it starts to look like life would be better if I wasn’t married to Angus, I know I’m buying into the illusion that my happiness comes from outside of me and that he is the source of my suffering. Whenever I look outside of myself and think that changing things out there will fix how I feel inside, I have forgotten that experience doesn’t work that way. Peace of mind, love, well-being are at home inside of me. As are all of the reasons why I married Angus in the first place. I am just taking my dissatisfied thinking seriously and blaming him for it. It is natural to not engage with my dissatisfied thoughts when I see this. And makes so much more sense to notice what I like about Angus and what works in our relationship. I am not saying anyone should stay in a relationship they don’t want to. If that is the case, it is not a question, “Did I Chose the Wrong Partner?” It is a knowing instead. Rohini and Angus are both coaches. They work with individuals, leaders, and organizations to increase performance and success. They also love working with couples and helping them to reduce conflict and discord so they can experience more love and harmony in their relationships. 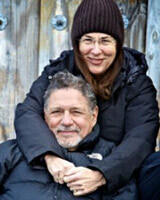 They co-facilitate individualized three-day couples intensives that support the deepening of connection and understanding. They work with couples who are struggling and couples who would like to deepen the love and intimacy they already have. Rohini is the author of Marriage (The Soul-Centered Series Book 1) and founder of The Soul-Centered Series: Psychology, Spirituality and the Teachings of Sydney Banks being offered in Santa Monica, California starting October 2018. You can also subscribe to her weekly blog that includes this weekly Vlog on her website, www.rohiniross.com. We Just Can’t Seem to Get it Right! SEE FULL BLOG ARCHIVES HERE. Copyright © Rohini Ross, all rights reserved. Website by Sandra Koenig, Branding Harmony. When you no longer give authority to the fear-based thoughts in your consciousness, all you are left with is happiness. Through the teachings of Sydney Banks, you can see how your psychological functioning works, which makes you less compelled to follow those thoughts that do not serve you. Becoming more aware of the wholeness and integration of both your human and spiritual natures helps to ground you in the unchanging essence of who you are, and ride out the ups and downs of your emotional experience more gracefully. Accepting the normalcy of your humanness will naturally reduce your anxiety and fear and enhance your joy and happiness in each moment. By placing less pressure on yourself to feel a certain way or be hung up on self-improvement, you may find that low moods do not derail or debilitate you; instead, you will become much more attuned to your innate wellbeing and peace of mind and experience more happiness as a result. Greater psychological freedom is the gift that keeps on giving. How grateful would you feel if you no longer had to listen to your negative, self-punishing and painful inner narrative, day in and day out? Understanding the role of thought and recognizing how it creates your feelings of insecurity and self-doubt is truly liberating! You will be better able to hear and heed your inner wisdom and become less driven by the noisy thoughts of fear and constriction. As an ongoing practice, this allows you to more fully experience your resilience and reach a greater sense of clarity about how you want to move forward in your life. As a result, you can live in a way that feels authentic and true in every area, including your career, family, home, creative expression, play, relationships and overall well-being. Your ability to enjoy life comes from being present in the moment rather than caught up in habitual, negative thoughts that take you out of the Now. Sydney Banks’ wisdom supports you in becoming aware of how you get seduced by your limited personal thinking and thus, create a painful reality of misunderstanding, fear and restriction. When you recognize how and why this happens, you can step free of the pattern. This understanding assists you to dismiss unhelpful thoughts and not take them seriously. Unlike traditional self-help or therapy, experiencing more psychological freedom and enjoyment does not rely on techniques. There are no magic bullets on the path of well-being. All you need to do is follow an internal compass that points to the truth of who you really are—beyond transient thoughts to your unchanging, formless essence. In our culture, success is often associated with hard work and narrowly defined as material gain. However, authentic success, as shared by Sydney Banks, includes such intangibles as happiness, well-being, love, joy, compassion, and peace of mind that are innate in each one of us, along with outward goals and achievements. It honors the whole person in all walks of life, whether you are a professional, leader, executive, solopreneur, employee, mother, teacher or student. From this knowing and experience, you can access the infinite wellspring of love that is your essence, then share your gifts with the world from a place of fulfillment and meaning, through a profound understanding of the interaction between your psychological and spiritual natures. While conventional success can deplete you, authentic success only fills you up. Are you self-critical, hard on yourself, and constantly trying to “fix” whatever you think is wrong with you? Perhaps you have tried all kinds of different personal growth techniques and spiritual practices in the hope of solving all your problems. This cycle can be exhausting and never-ending, because there will always be something to improve about yourself, from that mindset. Sydney Banks’ teachings can help you to see how your humanness is normal and not something that needs fixing: as a spiritual person, you don’t need to change or eradicate your humanness! Seeing yourself as normal allows you to love and accept yourself exactly as you are—warts and all. Adopting this perspective naturally brings out the best in you and helps to find peace with your personality. Self-love and self-acceptance is your natural state, and any disconnection from your true nature is only temporary. What a relief! One of the first areas people often experience profound transformation from the teachings of Sydney Banks is in their relationships, both personal and professional. While it often seems like another person’s irritation, anger, indifference, insensitivity, rudeness, etc., directly affects your experience, in reality your disturbance is a product of your own individual thinking. By making someone else responsible for how you feel, that person automatically becomes the cause of your suffering. Once you understand that you always have a place of well-being inside, independent of another’s behavior, it is easier to maintain equanimity through their changing moods and behaviors. Romantically, you may experience deeper love and intimacy with your partner, but the teachings benefit all relationships. This awareness supports more authentic connection and expression, while facilitating greater understanding, improved communication, reduced reactivity, more acceptance of self and others, and improved ability to work out differences and find common ground. Best of all, just one person shifting in a relationship is enough to transform it. Amy Johnson, Ph.D., is a coach, social psychologist, and the author of Being Human (2013), and The Little Book of Big Change: The No-Willpower Approach to Breaking Any Habit (2016). She experienced severe anxiety, panic attacks, and binge eating/bulimia for several years. She was told by many well-trained, well-intentioned professionals that these issues would likely be with her for life in one form or another. But nothing could be further from the truth today. Several years ago, she came across the down-to-earth spiritual understanding of life shared by Sydney Banks and that changed everything for her. It is the basis of everything she teaches and writes about, and the foundation for her groundbreaking new approach that helps people find true, lasting freedom from unwanted habits and anxiety. In 2017, Amy created an online school and community called The Little School of Big Change, where people worldwide find freedom from what holds them back. Amy has been a regularly featured expert on The Steve Harvey Show and Oprah.com, as well as in The Wall Street Journal and Self magazine. Amy is also a wife, Willow and Miller’s mom, and a lover of coffee, yoga, travel, documentaries, library books and a full night’s sleep. Scott has spent over 25 years as a coach, mentor, and integrative health practitioner assisting individuals in reconnecting to their health and well-being, improving performance and living with clarity. Scott brings state of mind coaching as the foundation to his health and well-being programs and has worked with professional athletes, Olympians, couples, family’s, teams, corporations and individuals who want to live, work, perform and play from their Zone Of Genius. Scott’s integrative approach to health and wellbeing involves evaluating the metabolic, nutritional, physical, mental, emotional and spiritual aspects of one’s health. 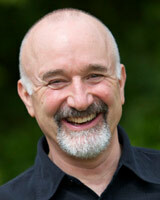 His extensive skills and experience enable him to create powerful coaching relationships for transformative outcomes. Scott is a dynamic and impactful presenter and teacher. He designs and delivers workshops and talks that leave people with a new and insightful understanding of their own health, well-being and potential. 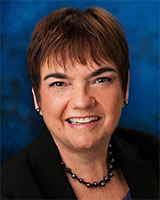 Barbara Patterson works with businesses, leaders, coaches, and entrepreneurs from around the world. She has over 20 years experience coaching & working globally as both an executive and outside consultant. As an executive, Barb was the head of a large global function responsible for talent management, executive development, change management and employee engagement. Today, she runs her own coaching and consulting business, bringing the insights from the understanding taught by Sydney Banks to clients across the globe. In addition to her own practice, Barb partners with Linda and George Pransky, developing principles-based practitioners through mentoring, training and one-on-one work. Alongside her career in international marketing and public relations, Clare spent decades looking for a way to feel more at ease with life. Along the way she gathered qualifications in many fields of personal development including psychology, NLP trainer, master hypnotist, yoga and meditation teacher and an MBA but nothing seemed to really explain our experience and who we really are. Her search ended (thankfully!) with the understanding put forward by Sydney Banks. She is now a full-time coach, speaker and author of REAL: the inside-out guide to being yourself. As well as a yoga teacher (she still loves that) and a mum of two. Michael Neill is an internationally renowned success coach and the best-selling author of You Can Have What You Want, Feel Happy Now! and both the Effortless Success and the Coaching from the Inside-Out audio programs. He has spent the past 23 years as a coach, adviser, friend, mentor, and creative spark plug to celebrities, CEOs, royalty, and people who want to get more out of themselves and their lives. He is the also the founder of Supercoach Academy, an international school training people from around the world in the art and science of transformative coaching from the inside-out understanding based on the teachings of Sydney Banks. Michael’s books have been translated into 13 languages, and his public talks, retreats, and seminars have touched and transformed lives at the United Nations and on five continents around the world. He hosts a weekly talk show on Hay House Radio, and his weekly blogs can be read on his website and The Huffington Post. 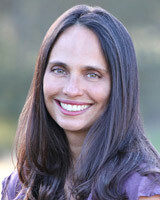 Rohini Ross is passionate about helping people wake up to their true nature. She is trained as a psychotherapist and currently has an international coaching and training practice helping individuals, couples, and professionals embrace all of who they are so they can experience greater levels of well-being, resiliency, and success. She is the author of Marriage, Book 1 in the Soul-Centered Series and co-facilitates The Engaged Space and The Space Global Mastermind for Solopreneurs with Barb Patterson. You can read her weekly blog on her website, The Huffington Post, and Thrive Global. Rohini was deeply impacted by the understanding shared by Sydney Banks when she attended a four-day intensive facilitated by Linda Pransky and Lila Turner. The understanding transformed her life both personally and professionally. Since then she has been sharing the understanding with her clients, in her writing, and in workshops. She created the Soul-Centered Series as a space for people to immerse themselves in the teachings of Sydney Banks by providing a closed, six-month journey where people have the opportunity to experience the original teachers of the understanding who learned directly from Sydney Banks, and who are masters in sharing this spiritual understanding in ways that are profound, healing and transformative. There is also the opportunity to connect with second-generation teachers who are thought leaders in the world. She is delighted to offer this unique program designed to connect you more deeply with your authentic self so you can experience the ripple effect of transformation in every area of your life. 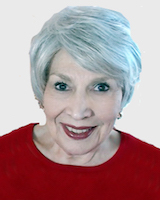 Elsie Spittle has been an internationally recognized trainer and consultant for over four decades. She is one of the few people who knew Sydney Banks, the originator of the Three Principles, before he had his profound insight, and who stuck by him, despite her own early strong resistance. Elsie had the privilege of receiving “on the job” training directly from Mr. Banks, traveling with him to address mental health practitioners, educators, and others seeking a deeper understanding of life. Since then, Elsie has been invited to consult with all levels of executives and employees in the corporate world and has been instrumental in transforming disadvantaged communities. She has worked with staff and youth in juvenile justice settings, as well as with individuals via coaching and retreats, and is a co-founder of the Three Principles School, dedicated to sharing the integrity and purity of the Principles for the benefit of future generations. Bill Pettit has shared the Three Principles within his psychiatric practice for more than 35 years. Bill was mentored personally for over 26 years by Sydney Banks, and his direct experience with Syd’s teaching closely informs his work. His most recent speaking and coaching work has focused on overcoming trauma and the understanding that there is just one cause—and one cure—for mental illness. 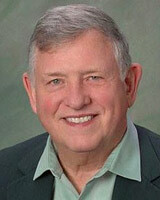 Bill is board-certified in psychiatry and holds an M.D. from University of Illinois College of Medicine and a B.A. from Creighton University. He has been previously board-certified in mind-body medicine and twice certified in addiction medicine. He presently holds an appointment as associate clinical professor in the Department of Psychiatry at Creighton University School of Medicine. Bill also served as a physician in the United States Navy for more than 9 years, including 3 years as a Navy flight surgeon and 3 years as chief of psychiatry of the Navy nuclear submarine base at Groton, Connecticut. Since 1983, Dr. Pettit has been a student and sharer of the Three Principles, presenting at many national and international programs and conferences, and consulting clients, individuals and organizations both locally and abroad. Bill and his wife, Linda, now live in Phoenix, Arizona, where Bill continues to practice psychiatry two mornings a week and devotes the rest of his time and energy to sharing the Three Principles through as many avenues as possible. Judith A. Sedgeman, Ed.D., has been dedicated to sharing the Principles of Mind, Consciousness and Thought professionally for more than 30 years. Dr. Sedgeman has worked over the years with many other practitioners of the Three Principles throughout the United States and around the world. Judy enjoys work with teams and sees collaboration and partnership as key to extending the power of the Principles of Mind, Consciousness and Thought to awaken health and well-being across diverse populations. Dr. Sedgeman has long been a leader in mentoring, teaching and practicing leadership in the presentation and development of Three Principles education and services. In 1976, George and Linda Pransky stumbled upon a new way of helping people that was radically different from the traditional counseling methods they’d been using in their work. They learned these new principles directly from Sydney Banks, and they had a huge impact on their personal lives, their relationship with each other, and the way they worked with their clients. They began to teach these principles and became pioneers in a new field of psychology that profoundly changed their clients in a short amount of time. George and Linda have taught the Three Principles for over thirty years to individuals, couples, businesses, and colleagues. Currently, Linda is on the executive committee of the Three Principles Organization (3PGC), faculty of the One Thought Institute and senior partner at Pransky and Associates. George is also a senior partner at Pransky and Associates and on the executive committee of the Three Principles Global Community. He is one of the two professional founders of the understanding of The Principles of Mind, Thought, and Consciousness, the author of The Relationship Handbook and has made more than 50 audio recordings. During his career, he has served on the faculty of three graduate universities and continues to pioneer sharing the teachings of Sydney Banks in new industries. 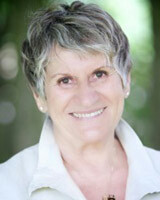 Cathy Casey is a highly skilled and experienced trainer of the Three Principles understanding of experience. Her work ranges from corporate consulting with blue-chip companies through to the public sector, such as health and hospital programs, government organizations, and juvenile and adult criminal justice systems. Cathy is especially known for pioneering teaching the Three Principles to prison inmates in the California Correctional System. Because of her experience of having a father who is a World War II veteran, her current vision is to bring the principles to all veterans of any war. Cathy is currently teaching veterans who are incarcerated. Dicken Bettinger, Ed.D., received his doctorate in counseling psychology and practiced as a licensed clinical psychologist for 32 years. In 1986, he met Sydney Banks and feels fortunate that for 23 years he was able to learn the Three Principles directly from him. Dicken co-founded one of the first Three Principles centers in the US. Dicken was also a senior staff member at Pransky and Associates for 16 years, where he developed and led corporate and university leadership trainings, team development experiences, and executive coaching programs. In 2012 Dicken founded Three Principles Mentoring. He now shares the Three Principles in seminars throughout the US and worldwide. Dicken has been married to Coizie for 46 years. He is blessed with two adult children and two adored grandchildren. He enjoys photography, hiking, canoeing, kayaking, and traveling.